Improve your knowledge of Aikido thanks to the multi-faceted and high level syllabus of the United Aikido Dojos. Students can achieve overall, extensive progress by developing technical skills they will not find in other dojos, thanks to our global comprehensive teaching approach which includes an introduction to theoretical knowledge about Aikido and the Japanese culture in general! 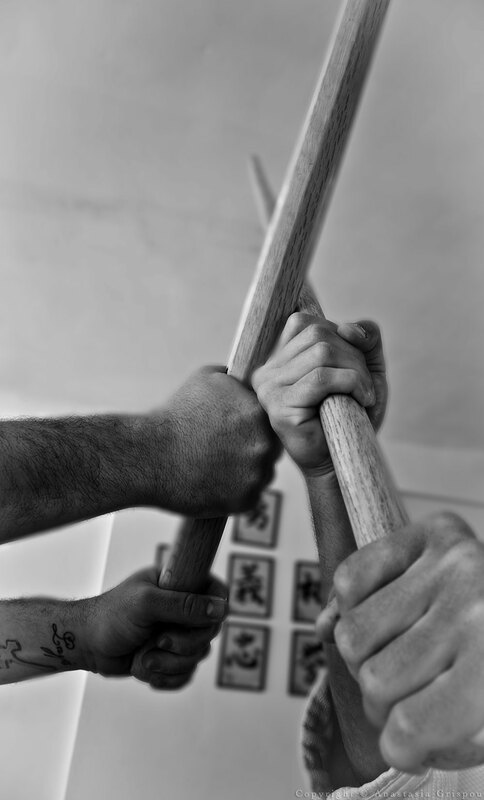 which will satisfy even the most demanding students, introducing them into a world which literally could be considered a martial art in itself. Oyo waza: basic technique variations and alternative application of the same technique based on the opponent you are facing; at least 3 different ways to perform a technique are taught. Henka waza: reversing a technique, in case the opponent resists and does not allow us to complete the technique applied. Aikido demands harmony, however, conditions in reality, are not always harmonious. Kaeshi waza: reversal/counter-techniques. It is widely known, that twists and falls are common not only in Aikido but also in other forms of self-defense. Thus, we should be able not only to counter any Aikido technique applied on us, but also to be able to stop another individual using the same way of settling the conflict, as we do. Ki and reflex exercises: exercises addressed to advanced learners, directly aiming at improving balance, reflexes and instinct to be used not only for Aikido!